I have worked as a sculptor for almost twenty years. I work with clay, and I love the peaceful way that I feel when I am working with this material. 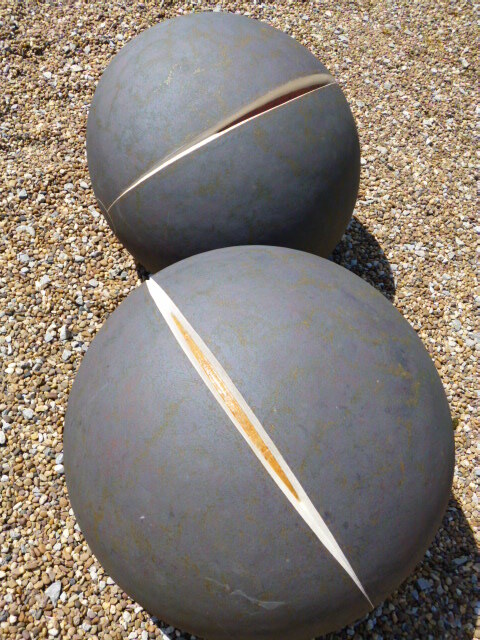 My work is inspired by the landscape and by natural form and therefore I like to make work for outside space. 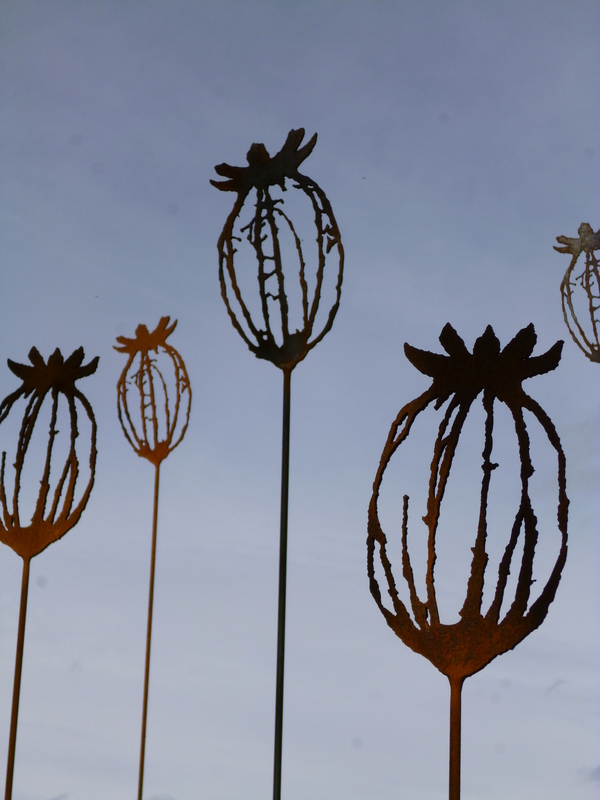 I want people to interact with my pieces, they are very tactile and made to be touched. I love the process, taking clay from the earth, mixing it with water, air and then fire and then placing the work back onto the ground where it once came from. I live and work in Eyam at the heart of the inspirational Peak District National park with my two children, in an old barn which I converted into a home (with the help of some very good friends). 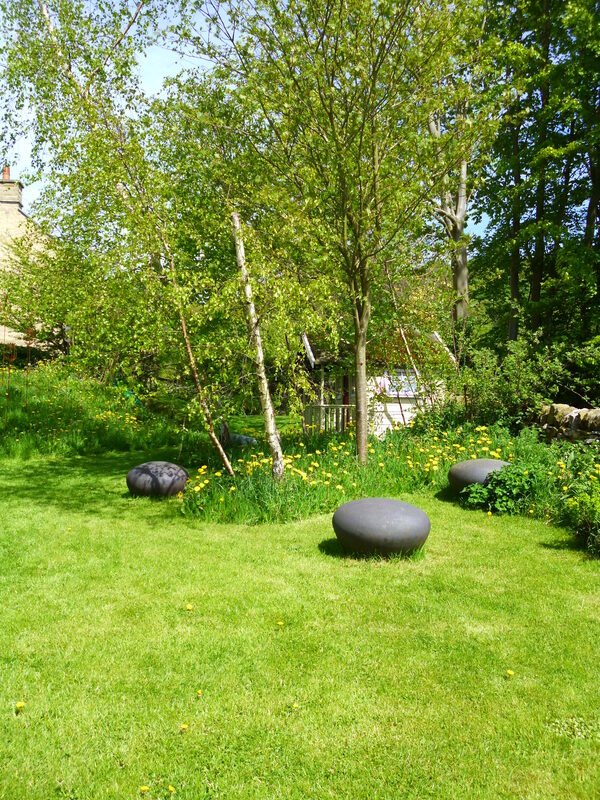 Eyam is rare in having a vibrant community made possible by people who always make the extra effort for their neighbours, and they have nurtured me and my work since I moved here ten years ago. I hope that my garden is a worthy addition to this amazing place. My work is a direct response to the natural environment. Buildings, Landforms, insects and plant life are all sources of inspiration. I work with clay, which is fired to high stoneware temperatures for durability and frost resistance. The process of making pieces which sit upon the land, out of materials which are extracted from the same land is of utmost importance to me. 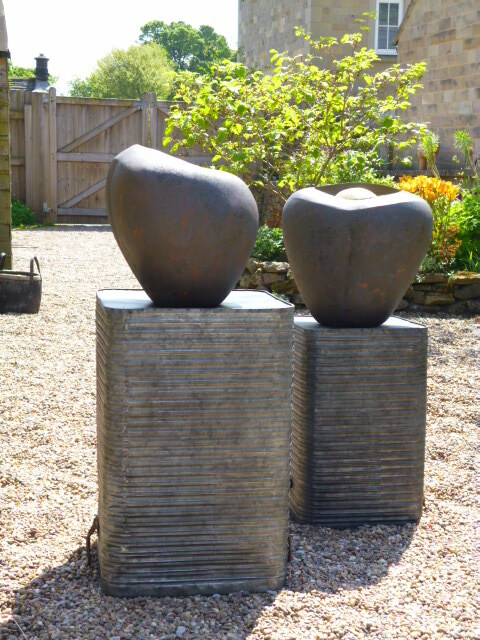 These pieces reflect the landscape in form, detail and substance. 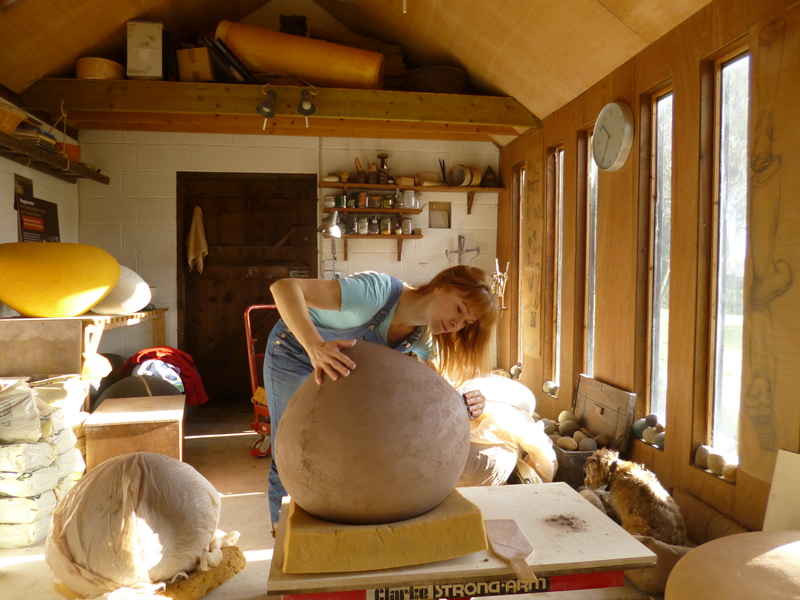 I am constantly exploring and re-exploring cycles, whether they be life cycles or the cycle that enables me to use clay from the earth. 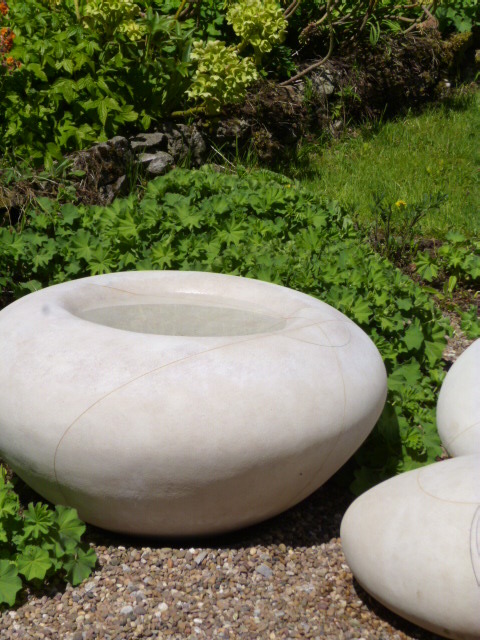 My work is very tactile and I welcome people to come and enjoy the surfaces of these pieces as well as explore the form and the detail which twists its way around them.